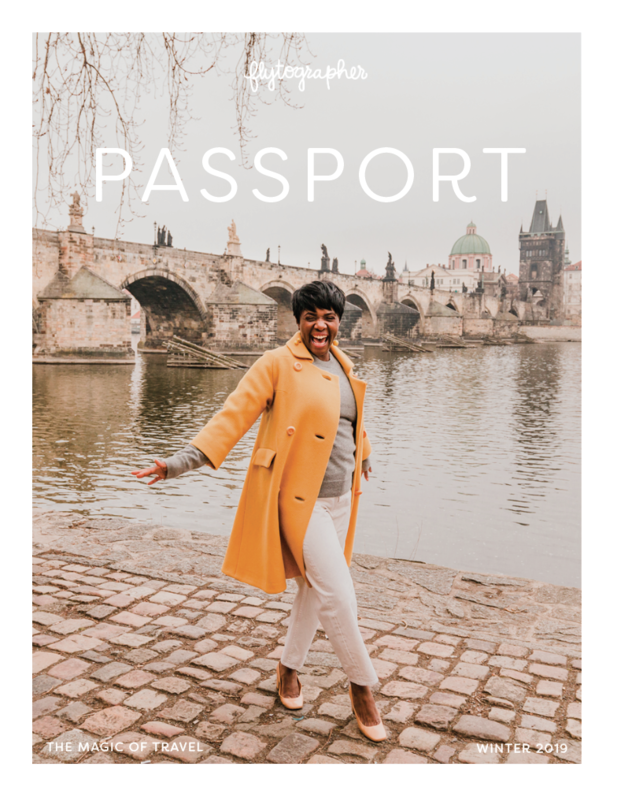 Flytographer is thrilled to connect with so many amazing travel bloggers. 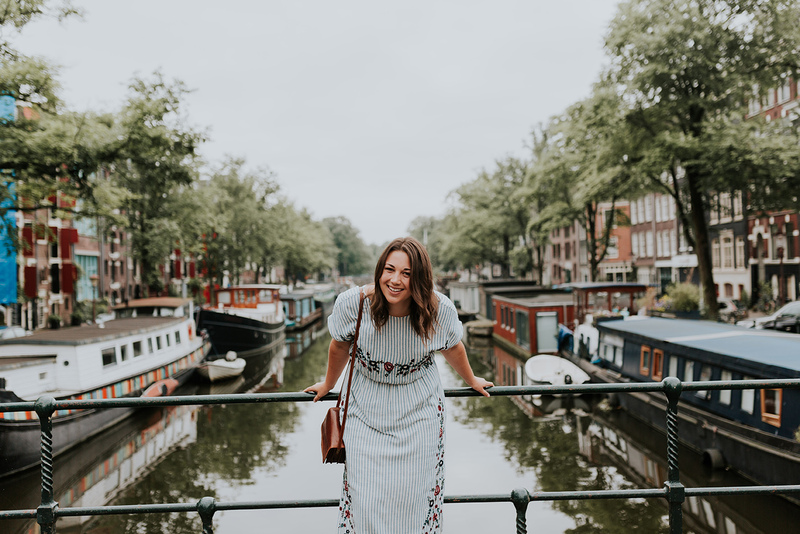 We are always interested to see where they’re jetting off to next, as well as their insider secrets for the best things to see and do in each city! We teamed up with family travel bloggers Henley Vazquez (CEO of Passported), Sandy Pappas (Family Vacation Consultant at Ciao Bambino), and Lisa Grabelle (blogger at Hilton Mom Voyage), for their top tips for families travelling to this year’s hottest destinations. We start it off in Paris, the city of light, love and family fun. 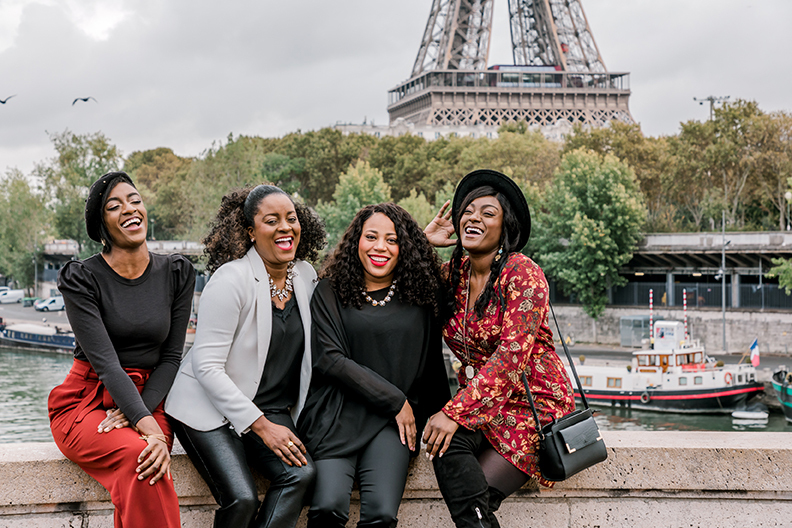 Treat yourself to a glamorous getaway in this iconic city and share all the experiences that Paris has to offer with your nearest and dearest! Stop at Le Bon Marché for gourmet picnic supplies, then go to the Jardin du Luxembourg for a picnic and one of the best playgrounds in Paris. You have to pay a small fee to enter the playground; there’s a cute nearby café and a puppet theater. This playground was my daughter’s favourite thing of our whole trip! After visiting Notre Dame, walk over to Berthillon on Île St. Louis for the best ice cream in Paris. A great carrot to dangle in order to get kids excited to go to the Louvre is to promise a visit to the trampoline park at the Jardin des Tuileries afterward. It’s near the Place de la Concorde entrance, the side closest to Rue de Rivoli. At 2 euros per ticket (10 tickets for 15 euros) for about 5 minutes of jumping, it’s a bargain. Ride the ferris wheel in the daytime and also at night to see the city for two totally different perspectives. 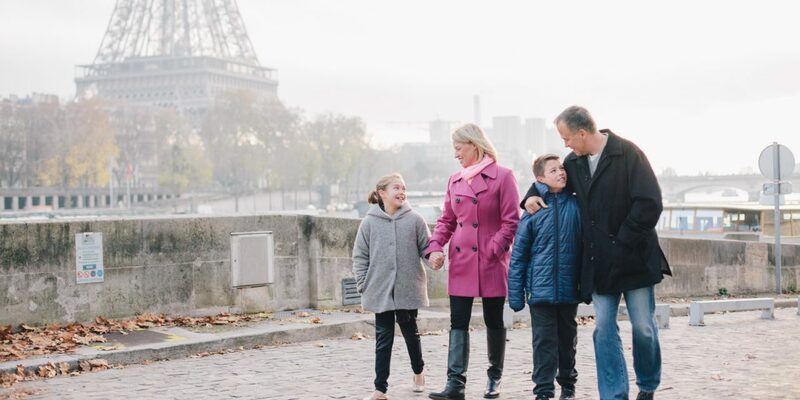 Click here for more family-friendly Paris travel tips from the Ciao Bambino team! Haute Hotels: Even if you can’t afford to stay in a Parisian palace, splurge on a long lunch at one. Le Bristol, where Woody Allen filmed Midnight in Paris, has a magical garden, a children’s menu, and two resident cats that stroll the grounds. The rooftop restaurant at the new Peninsula Paris, with an aviation-theme interior, has views straight to the Eiffel Tower. The hip Royal Monceau does a weekend brunch that often includes a separate room with children’s activities, so mom and dad can linger over champagne. If you can book a sitter one night to watch the kids, sneak yourself over to the Hotel Costes bar, which is a contender for one of the sexiest low-lit lounges in Paris. Art Bites: Reward a well-behaved museum visit with a yummy lunch. Our picks at the major museums: Louvre, visit Café Marly or Le Fumoir; Pompidou Centre, eat at Georges; Picasso Museum, choose between Pink Flamingo Pizza or Breizh Café; Rodin, lunch at Brasserie Thoumieux; D’Orsay, enjoy Le Recamier. L’Avenue is a favorite for its outdoor terrace and fun people-watching, and Berthillon is a must as a sweet treat on Île de la Cite. On the Left Bank, we hit Café de Flore for breakfast croissants and coffee, and La Pâtisserie de Rêves for carrying out a baguette to a picnic in the park. Le Soufflé serves up the most amazing versions of its namesake dishes, and we always tuck into epic steak frites at Relais de l’Entrecôte in Saint-Germain-des-Prés. Garden Party: Paris isn’t all high fashion and serious art. 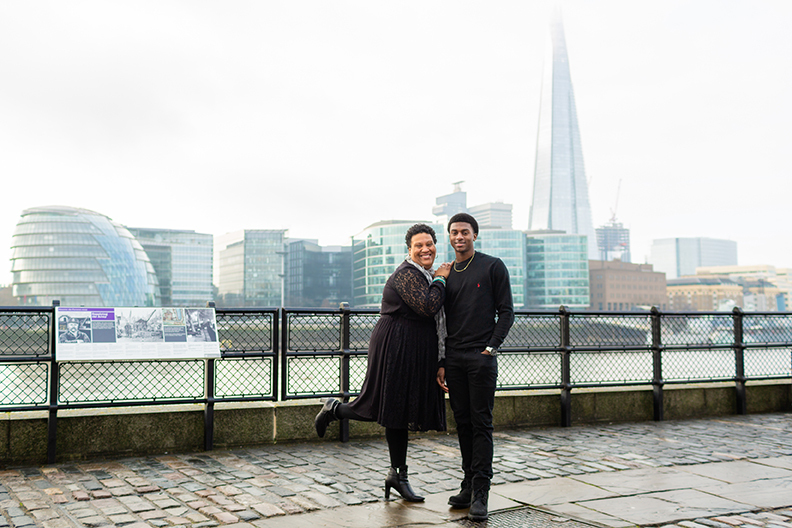 The city’s parks are magical for adults as well as children. In the summer, the fair in the Tuileries is a blast with pint-sized carnival rides, while the quieter Luxembourg Gardens, with its historic fountains, is a dream afternoon (particularly when fueled by hot chocolate from the nearby Angelina outpost). To get farther afield, head to the Parc des Buttes-Chaumont, which offers breathtaking views of the city. The Place des Vosges in the Marais is one of our favorite city-center squares for some downtime on a playground (and with some pretty fab shopping nearby). Museum Tips: Nothing kills the family fun faster than a long queue. To avoid a soul-crushing wait to enter Paris’ museums, plan ahead and purchase either the Paris Pass or get your tickets online to the cultural centers you plan to visit. To get the most of out of your visit to the Louvre, hire one of the knowledgable guides at Paris Muse. They’ll plan a scavenger hunt that brings the art and its stories alive for younger visitors. Listen carefully, parents…you may learn something new as well! Visit Passported for more Paris tips, info, and city guides. Sample Paris’ signature cookie – the macaron. The fresh ones are nothing like the ones that come out of a can! Beautiful, colorful, artistic creations, on display behind glass! Buy a variety to indulge in the inventive flavors of these meringue-based confections. Peach, apricot, chocolate, rose, lemon, coconut….make it a family mission to find the “perfect macaron.” Try samples at each of these favorite bakeries: Ladurée, Pierre Hermé, & Gérard Mulot. Seek out Paris’ most famous street food, the delicate crêpe (a thin pancake), filled with whatever makes you smile like Mona Lisa – Nutella, fruit, chocolate, jam, spinach, cheese….you really can’t go wrong! Follow your nose to these mouth-watering spots: Breizh Café, Crêperie Josselin, or Crêperie Paris Breizh. If you find yourself wandering around a residential neighborhood, stop in at the bustling local markets and quaint shops. At the artisan boulangers and pâtisseries, buy some flaky hand-made baguettes and croissants filled with chunks of chocolate. Cheese lovers should beeline to any local fromagerie to experience the joy of shopping for and tasting French cheese! Must-visit shops include: Eric Kayser, Odette, and Androuet. Your kids will love the Louvre! Keep your visit brief and focus on kid-friendly highlights, like the enigmatic Mona Lisa, the elaborate Napoleon Apartments, and the medieval moat hidden deep below the museum. 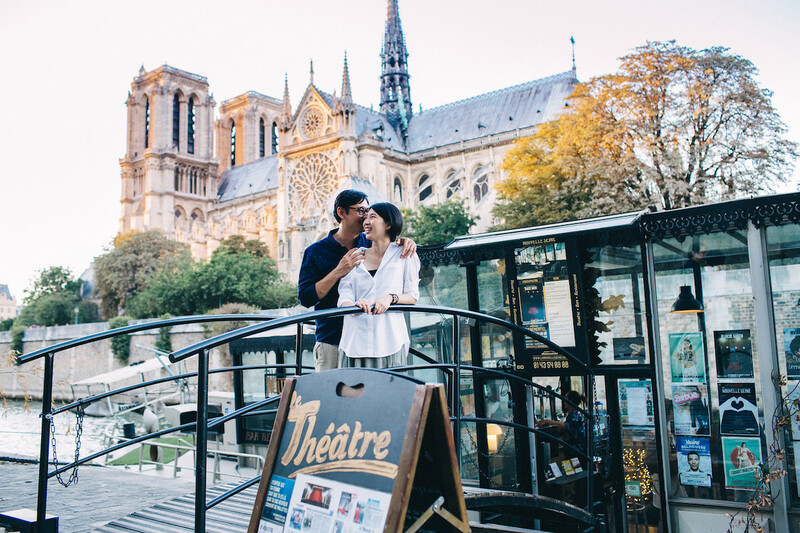 To see why Paris is affectionately known as “The City of Light,” hop on a boat for a nighttime tour down the romantic Seine, passing historic landmarks along the way. Be sure to time your ride to be at the Eiffel Tower on the hour (starting at 8:00 pm) when its 20,000 lights sparkle. You’ll hear shouts of glee and rounds of applause for this magical sight! Skip the pricey elevator and hike up 700+ steps instead to conquer the monstrous and brilliant Eiffel Tower. This budget-friendly way to get to the top is an adventure and so much fun for kids! 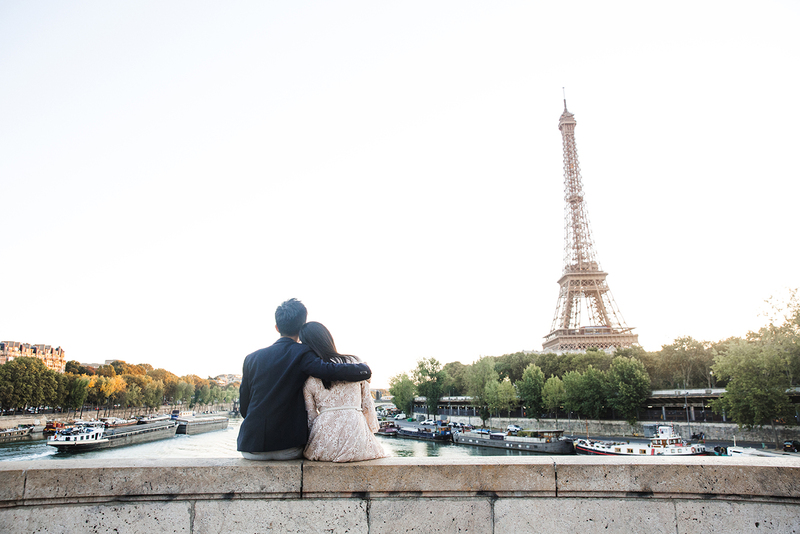 For more of Lisa’s tips for Paris, visit her blog at Hilton Mom Voyage. Check out some fun family stories in Paris here and here.